On the 19th of October we held a stakeholder event in Bassetlaw, which is the other primary area we work in as a part of Building Stronger Communities Project. 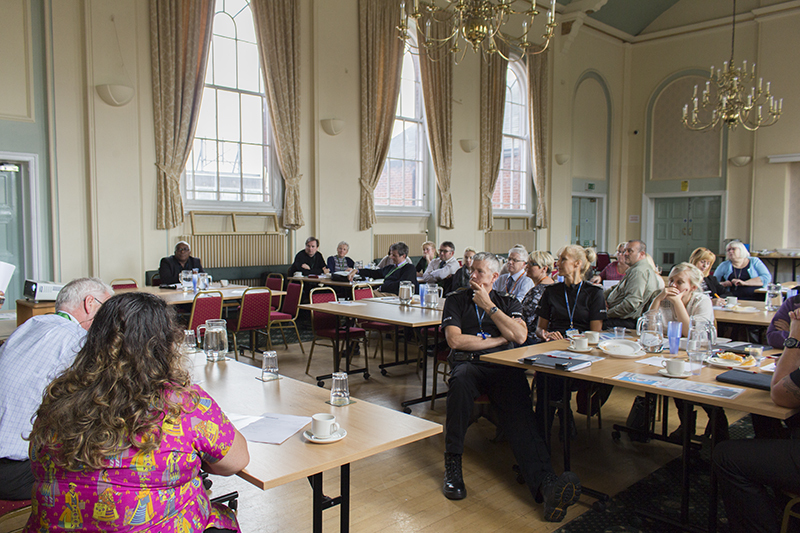 The aim of the presentation was to introduce our work, find out how we can help Bassetlaw to promote community cohesion and to facilitate a dialogue between local agencies around barriers to cohesion in the district. Councillor Susan Shaw opened the event and Gerald Connor, Community Safety Coordinator at Bassetlaw District Council, gave a speech about the importance of community cohesion and tackling hate crime. The event continued with a short presentation on the project’s background and aims, delivered by our team and was followed by the round-table discussions. Participants talked about issues faced by communities in Bassetlaw and how Communities Inc. could add value to the work that is already taking place across the district. The event was attended by representatives of many local agencies(including the police),councillors, and community groups, which made the table discussions very broad and insightful. They highlighted a lot of interesting points and possible ways for us to get involved in community work in Bassetlaw. We found the event very informing and inspiring and we cannot wait to formally begin our work in Bassetlaw.